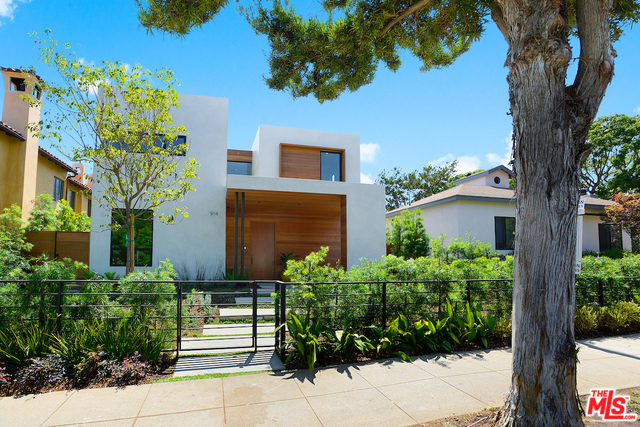 Felix Wong represented the buyer of this extraordinary Santa Monica Architectural built with the finest quality and warm finishes by award winning DUB Studios. Featuring a living space divided into four bedrooms, six bathrooms, and two family rooms on separate floors, all with white oak wood floors. The spacious interior design affords an open space and airy feel for the entire structure. The large sliding doors create a nearly seamless transition from kitchen and living areas to a beautiful, large back yard. The, designer kitchen with a center island cook top yields to a sleek bar top and showcases Miele appliances. The family room flows effortlessly off the kitchen with incredible views of the exterior spaces. Upstairs are three bedroom suites including an airy, master suite with sleek bathroom and walk-in closet. The thoughtfully landscaped yard features alfresco dining area, outdoor kitchen and entertainment space. Flawlessly designed with an unparalleled statement of vision, this property was built to satisfy the senses. Property Listed by Fiora Aston at Coldwell Banker Residential Brokerage | Photographs and description from MLS Listing.